Arrive by flt no at 00hrs. Please clear immigration & visa formalities. The BIRDS Holiday Representative will page you by your name. 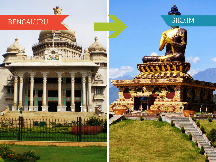 Thereafter you will be assisted to the Car park / Coach Park to begin you journey as per the booked itinerary. 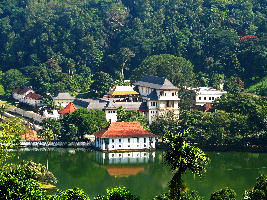 Arrive in Kandy and enjoy a city tour of Kandy. Enroute visit Pinnawala elephant orphanage, Temple of the Sacred Tooth Relic etc. Evening witness the Kandy Cultural Dance Performance. Overnight stay at a Kandy hotel. After breakfast, proceed to Bentota. Visit Proceed to Kosgoda visit Turtle Hatchery. Kosgoda is famous for its sea turtle conservation project operated by the Wild Life Protection Society of Sri Lanka. And visit Madu Ganga for a Boat Ride. A boat trip is a wonderful way of seeing some of the hundreds of species of plants and animals – monkeys eat fruit in the trees, a water monitor lizard glides slowly through the water, and cormorants, egrets and kingfishers wait patiently on the banks, eyeing the water for prey. Overnight stay at Hotel in Bentota. After breakfast, City tour in Colombo + Shopping Colombo - a drive through the city taking you to the busy commercial areas as well as the tree-lined residential, Cinnamon Gardens. Visit Sea Street -It's a best place to shopping. Overnight stay at Hotel in Colombo. Good experience overall. our Driver Vipin was excellent. Hotels were very good.